Today I present two more books for navidad. Enjoy them and feliz navidad y año nuevo 2011. 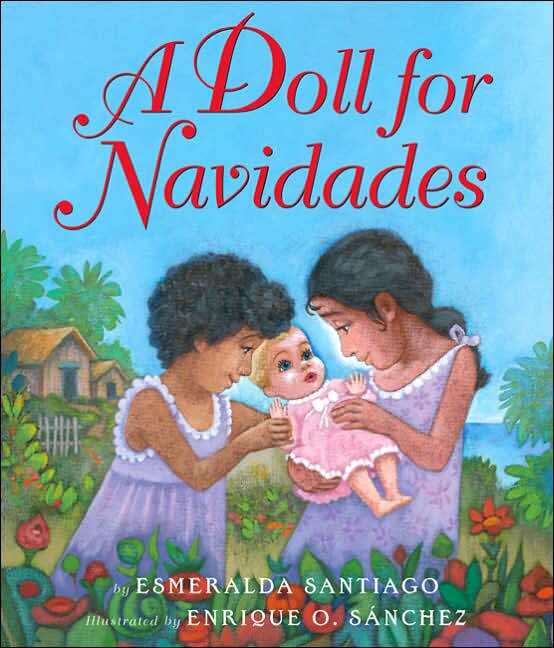 To view the previous lists of books for navidad, click on the year. Illustrated by Enrique O. Sanchez. Las Navidades are coming. The house smells of cinnamon and coconut, crepe paper festoons the yard, and best of all, the Three Magi will soon bring presents to all the children. Esmeralda hopes they will bring her a baby doll. But instead, she receives something far more precious: she experiences firsthand the magic of giving and the power of her family's love for her. Esmeralda Santiago's resonant prose and Enrique Sanchez's vibrant illustrations make for a heartwarming tale to share with all children. 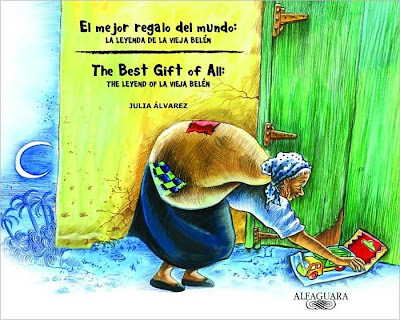 Renowned Latina author Julia Alvárez recreates the legend of Dominican folk character La Vieja Belén in this delightful bilingual rhyming story, beautifully illustrated by Dominican artist Ruddy Nuñez. This bilingual picture book is an original story about the Dominican folk character who delivers toys to poor children in the Dominican Republic the week after Three Kings Day. Alvarez's retelling keeps the magic of the traditional account while contributing a down-to-earth, timely moral: "Of all the gifts you can give, your time is the best."